里先生你好, 我有一張大新BA 英航白金卡, 我每月都chok 緊payme HK$5,000, 如果我開張附屬卡俾屋企人, 佢都可以同時chok payme HK$5,000? 即每月會chok 到1,667 avios? 定係會cap 左係833 avios? Thank you! 里先生: 請問用東亞Flyer World Master 增值payme , 是否當信用卡簽賬? 不當現金透支? 因我曾致電東亞hotline, 他們說這當是現金透支, 要收取5%透支費用, minimum 收HK$100! 這說法是否正確? 里先生你好, 如果用payme 同alipayhk 食DBS 個迎新係唔係會快d 儲到里數? 會唔會俾人ban 左個戶口?? 我payme增值左$5000, 請問係咪應該有 833分? 但我最近張Bank Statement, 724分既? 但依家Citi 張statment除左其他簽賬外, 有落左用 Citi 信用卡增值左$1000去payme係statment度, 但找數總額又計埋增值個$1000, 無扣到個$800, 因我只用左$200係payme簽賬,不是淨計$200嗎? 3. 用信用卡增值$1000, 再直接入番$1000落銀行, 先可以0成本? 唔係好明, 因增值$1000 條數都會落係statment度, 到最後都要找$1000卡數? 當我其他簽賬總額係$6000, 即係我總共要找番卡數$7000? 4. 話payme即錢可轉去銀行, 用嚟找卡數, 即係點? 當今個月statment有落信用卡係payme增值個$1000, 另外其他簽賬總額係$6000, 總共找卡數$7000, 咁當12月簽賬$5000, 11月payme增值個$1000會唔會係12月張statment度減番, 12月只需還$4000卡數? SCB AM 取消左PAYME chok 分? DBS black world master 可唔可以每個月同時享有payme及wechatpay $5000里數回贈,抑或二擇其一呢? Hi! 請問用HSBC Platinum Visa / DBS Compass Visa 每月增值$5,000到PayMe, 信用卡可否儲積分(獎賞錢) 呢? 你好, 想問如果用5000 增值方法, 但我有朋友真係payme 比番食飯錢我, 攪到個payme 有成萬元,. 我睇條款好似係每且至可以轉番5000 元去銀行戶口, 咁我咪交唔到朋友食飯錢既咭數, 因為5000 額已經佔爆左限額? 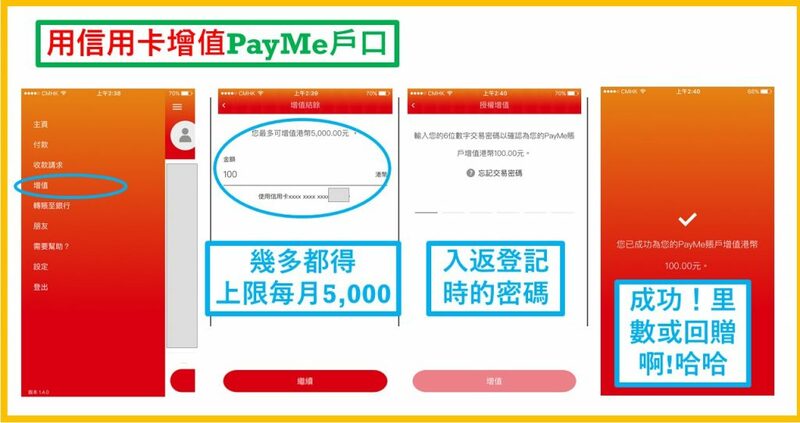 我已開payme 戶口， 已登記了一張冇迎新的咭。若申請到 Citi Cash Back，是否另埋落去，要刪除之前的咭嗎？會否因之前已登記了一張冇迎新的咭。而不接受 Citi Cash Back，沒有了迎新offer? 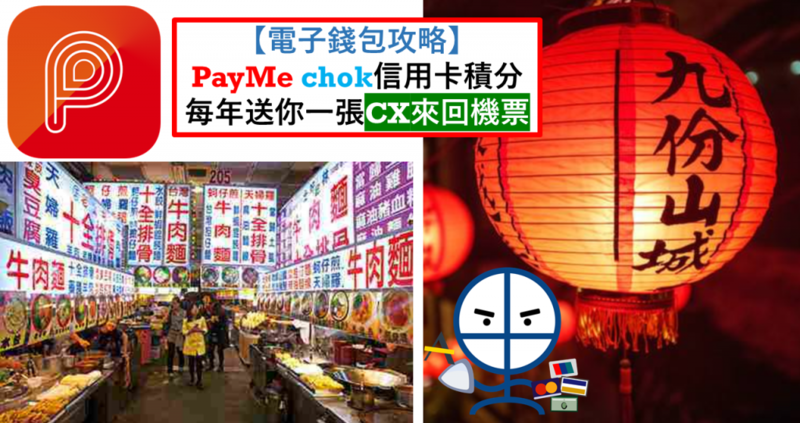 係唔係payme / we chat 無晒$3/埋? 你好 里先生 我本身已經有張渣打AM卡連左落個PayMe 咁我再申請張大新BA卡 連落個PayMe account 兩張信用卡都每月刷$5000 咁樣會計到里數嗎? 因家人註冊唔到payme account，用緊note 3，長期出現”發生錯誤，請稍後再試”，因要趕在期限內簽賬攞迎新，請問可否用一部電話(我巳註冊payme)註冊兩個payme account (不同人名，不同身份證及不同fb 名稱)，如不能，有否其他建議？謝謝 ! hi 里生, 想請問渣打AM仲有分嗎? 時有時冇淨係出現係支付寶 or wechat? 呢2個轉帳同提款係咪都冇手續費? 已爬文但睇過有人話wechat有手續費, 所以想問清楚, thanks alot! 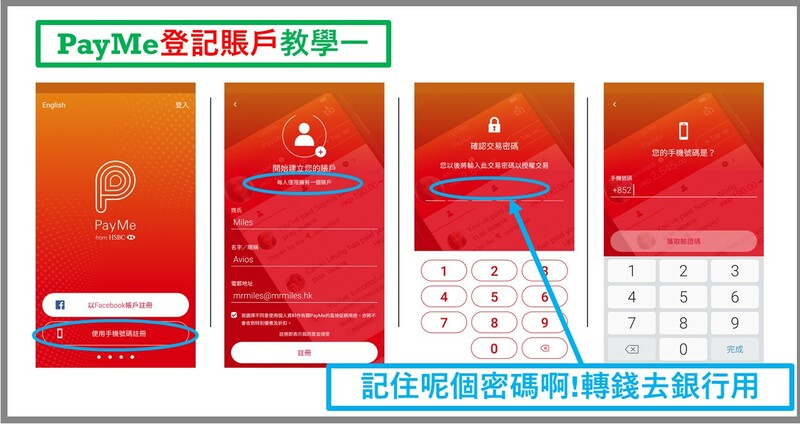 新開acc, upload左身份證, 嘗試用citibank reward card增值, 但係加唔到, payme話”此信用卡未能使用”, 呢張卡係新申請的未用過, 請問係邊度出左問題? 建行flyaway 卡 用payme chok 到積分嗎? 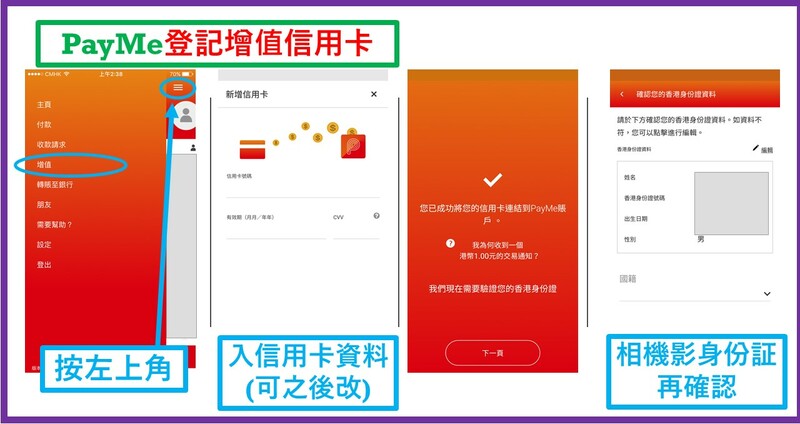 想問無HSBC戶口, 可以用PAYME APP CHOKE 分嗎? Like to check if I can get $3=1mile by using “建行(亞洲)Visa白金信用卡”? If not, what’s the rate? 里先生, 我剛用DBS BLACK CARD 增值5000, 隔左一陣, 再轉回去自己ACCOUNT…咁樣同一日做…都可以CHOK 分嗎…因剛見你說隔2星期先好轉回自己戶口…..
里先生, 想問一下你會建議用一張DBS BLACK World Master card 玩晒 payme, wechat pay, Alipay hk 去chok 分嗎? 里先生, 你好, 如果我用同一張, DBS BLACK WORLD MASTER CARD 去增值PAYME, WECHAT PAY, 支付寶HK, CHOK 分…可以嗎? Any other comments? hi Mr. 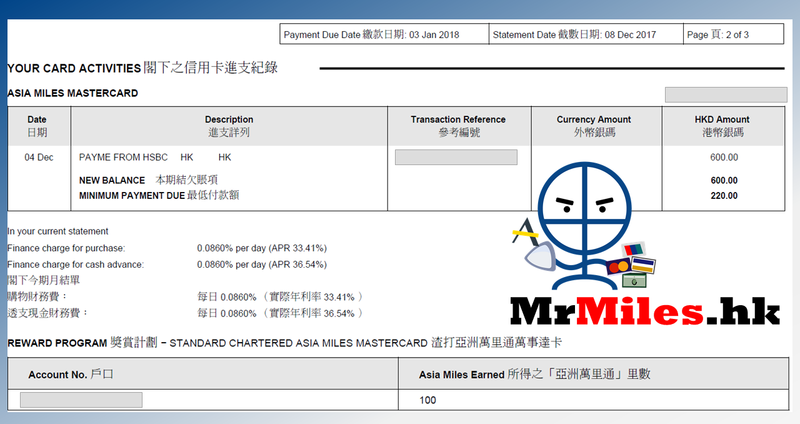 Miles, eye card payme 仲有無2% cash rebate? Thanks. 請問每個payme ac只可以綁一張信用卡增值嗎？如果同時有幾張卡可以payme賺分，例如渣打AM card$6=1 和 建行eye card$3=1, 應該怎樣才可賺盡？是否要開多幾個payme ac? 同1人能否開幾個payme ac? hsbc premier master card 用唔用得呢個方法? 點样不會比HSBC BAN ACC? 如一次過增值, 轉頭轉比自己. 會否比HSBC black list? DBS black master card, payme, we7, alipay 有冇分呢? BEA world master card we7, alipay 有冇分呢? 1. SC ASIA MILE CARD 去PAY ME有分嗎? 2. CCB EYE CARD $3一里仍是嗎? 3. CCB EYE CARD新卡 , 繳費也可作迎新簽賬計嗎? 想請教里先生，咁如果我有張CX AE Elite，每年要簽 $150000 先免下年年費，但我根本無可能碌到，咁用 CX AE Elite 增值落 Payne，咁樣係咪都計簽賬額 (知道冇積分儲，純儲簽賬額) ? I’m using SC Asia Miles Mastercard, and would like to know if I can use the PayMe trick to earn AsiaMiles. E.g, deposit to PayMe using credit card, and then transfer to my bank account. Will it be possible to earn AM like this ($6=1AM). Also, what is the daily limit/ monthly limit? Thanks! 請問東亞個 welcome offer 用 payme 計唔計架? 想問HSBC VISA SIGNATURE 係咪CHOK 吾到分? Thanks for your useful tutorial. Do you know if there is any upper limit that I can store in my payme account? 如果之前登記左 A 信用卡 而家想轉b caed 可以ma? DBS compress visa available ma? 請問dbs black card payme 可以草里數嗎? 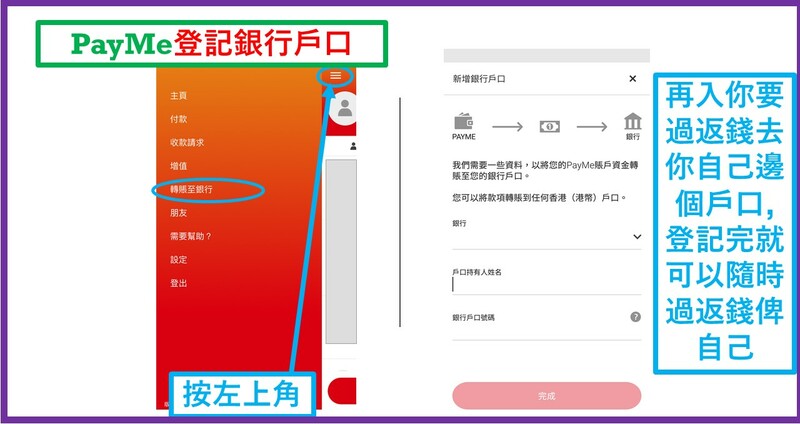 里先生你好，我仲係吾多明㸃操作，請教一下，你意思係:用渣打AM card 去payme 充值$5000， 轉頭將$5000 payme 轉返入自己bank account 都有里數䁠到? 請問 Citi PM 迎新 payme 而家仲計唔計? 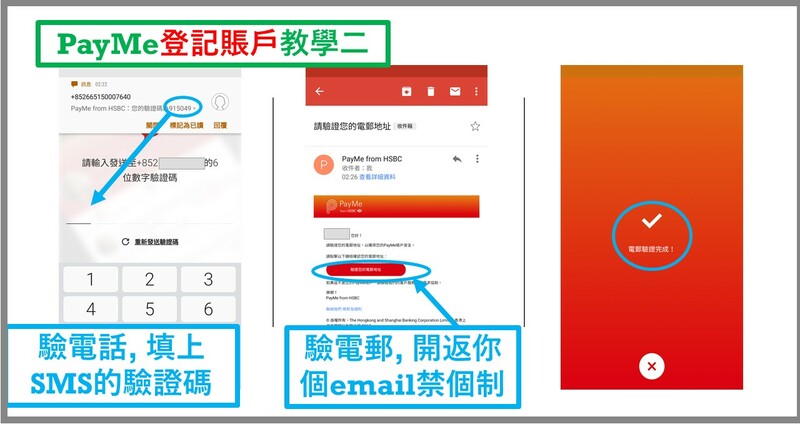 里先生你好，payme account內的信用卡可以任換，若我有五張卡又是否可以在該月內輪換 ? 如可以每月那便是有合共25000積分 !? 另外payme每月增值是計月份還是月結單期 ? Hi KK,兩個PayMe account唔可以用同一張卡架，一張信用卡只能登記1次 PayMe account. 你咁講法..即係我 銀行戶口可以任改 , 但 信用卡就只能跟死一個?? 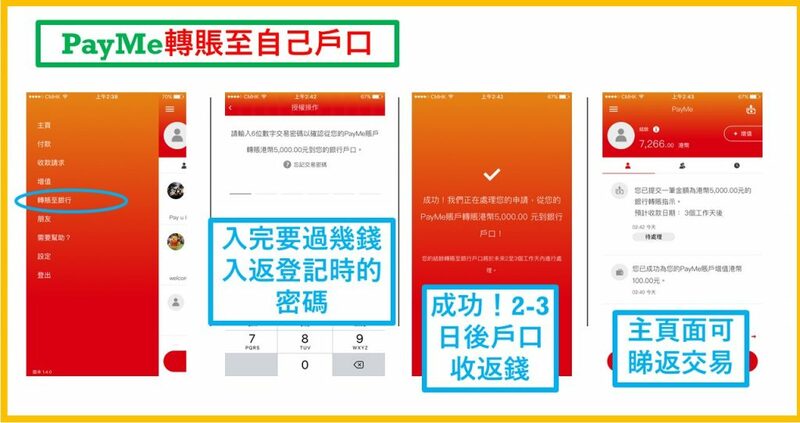 另, 我想知 中銀 智盈理財 mastercard 有冇得賺分?? 夾埋我自己果 $5000 payme, 我張信用咭係咪計每月簽 $15000?